Designed by Ralph Lauren in 1993, Ralph Lauren Polo Sport for men is a refreshing, spicy, lavender, amber fragrance. 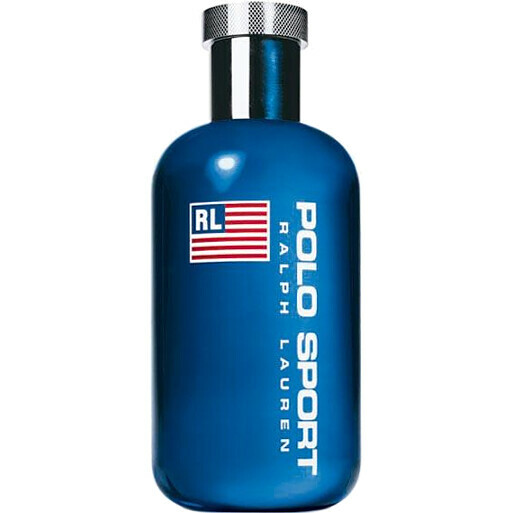 Ralph Lauren Polo Sport for men contains a blend of seaweed, algae, mint and is accented with nutmeg, oakmoss and sandalwood making Ralph Lauren Polo Sport cologne perfect for casual daytime use. Top Notes: Bergamot, Lemon, Mint, Aldehydes. Heart Notes: Ginger, Seaweed, Rose, Geranium. Base Notes: Sandalwood, Guaiac Wood, Amber, Cedar. Ralph Lauren Polo Sport Eau de Toilette Spray 75ml is rated 5.0 out of 5 by 1. Rated 5 out of 5 by CorradoHils from Timeless classic ! Still as fresh and crisp as when it was first launched in the 90's. An all round fragrance for men with a clean yet lingering smell. Loved by my sons as teens and cherished by them now as an eau de toilette that has stood the test of time. A true classic !